Thanks to Neil, a festive little tradition has been growing year by year. It's called All Hallows Read. How does it work? 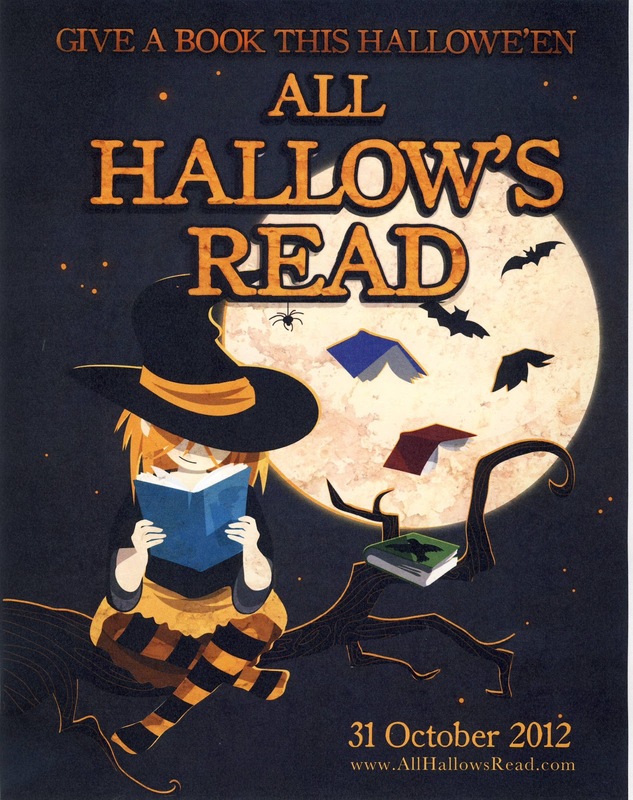 In the week of Halloween, or on the night itself, you give someone a scary book. It can be to children, adults, friends or relatives. It can be a picture book or a chapter book, a long book or a short book. What ever it is, give them a book. So now that you know, you can join in. Stop by our store and select from our horror, mystery, true ghost stories and children's for the book that goes bump in the night. For more information, click here for their website!